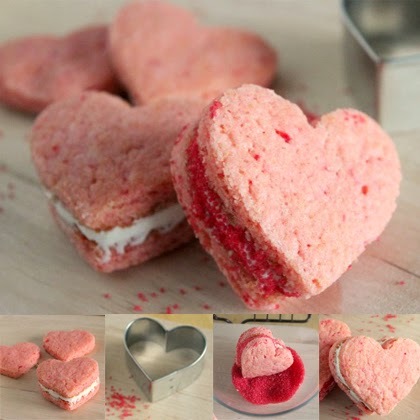 I couldn’t resist with that title for these Valentine Heart Cookie Sandwiches… I love me some U2! And these little cookie hearts were meant to beat as one! They are perfect and cute and pink with red sprinkles. What is not to LOVE? !